Every so often a game comes along that is the complete package. These rare examples exemplify all the trimmings, meat, and potatoes that the fans want and crave from the gaming industry. 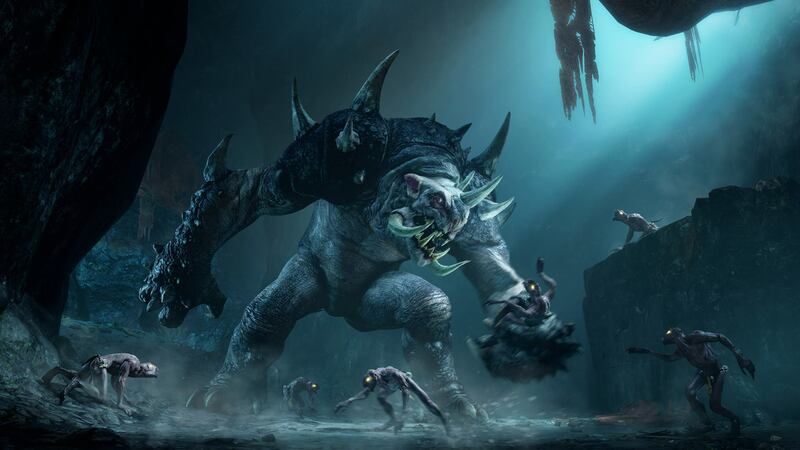 Middle Earth: Shadow of Mordor is not that game; but it could have been. So full of if’s and could’ves and should’ves is this game that it might be interesting to learn exactly why they stopped so short, and exactly what limitations held it back. 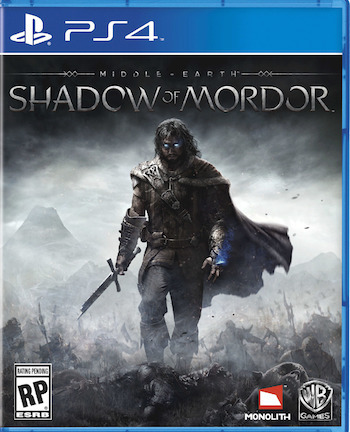 This is not of course to take away from the fact that Shadow of Mordor is a good game, in fact it’s a very good, very enjoyable game… even one that is fun and entertaining in spite of where it does fail (and I do mean fail) and all the criticisms leveled upon it. Shadow of Mordor manages to be fun while providing a unique experience that can be expected out of an open-world (sandbox) title. And while it may not be terribly accessible to anyone (and surely there’s at least a few out there) unfamiliar with the Tolkein’s Lord of the Rings series and Middle Earth, I feel that anyone who can enjoy this game without the prior familiarity is the very model of patience and deserves our praise. You good? Okay! 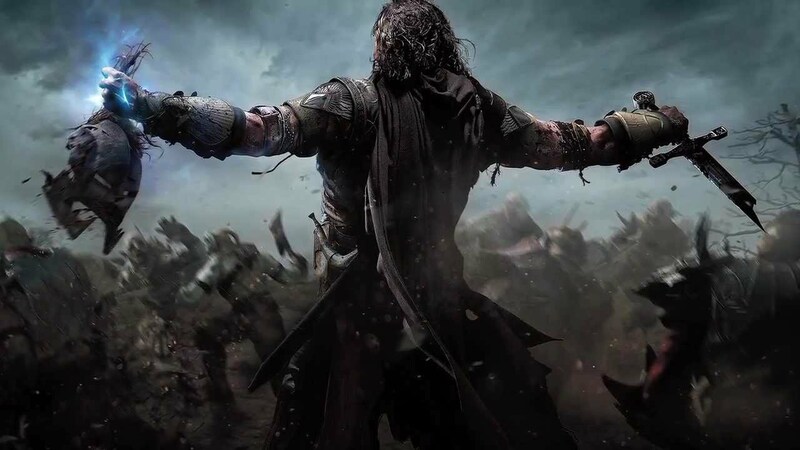 So Talion is pursuing his revenge the old fashioned way, by assassinating important Orcs (more commonly called Uruk) one-by-one until he gets to the things controlling them on behalf of Sauron who is important to the Lord of the Rings franchise and thankfully never makes an appearance outside of flashbacks and cut-scenes due to what I hope was a combination of foresight and good taste. If this sounds familiar, then there’s a good reason. Yes it does sound like Assassins’ Creed, but then when you bother to boil the plot down that far it also sounds like Megaman. The comparison to AC is not terribly hyperbolic, it contains the same open-world, the specific and unique targets, samey side quests that can make killing a target easier, and collectibles and challenges for bonus points. Where it excels is in making these same elements feel far more organic than they do in AC. The side quests come in the form of challenges, your usual collectible hunting, and gathering intel on the Orcs you’re hunting. Intel isn’t very exciting, it’s found sporadically throughout the map has either random papers left around or more often off “worms,” random orcs you scare the crap out of to get the information out of them. The challenges are more fun but run-of-the-mill sandbox faire simply meant to call attention to how incredibly badass Talion is. Each collectible found, however, comes with a part of the greater story behind Middle Earth – although half of them are in Elvish so unless you got an Elvish dictionary handy, the majority of us are still just going to have to google it anyway. But unlike Assassins’ Creed there’s no distracting, shoe-horned science fiction plot, just magic to explain why you never stay dead, so losing a fight never breaks immersion. More so than that, dying in this game can be strategic. Dying to a random orc gives you a new target as that orc gets a name, promotion, and personality. Dying to an already-named orc makes them more powerful. The more powerful an orc is the better the loot they drop making you more powerful when you kill them. Plus orcs that have killed you will bring up how many times, with different reactions depending on their personality. Sometimes they’re boastful, sometimes they try to insult you, sometimes they’re just confused. But it is, for the most part, unique and the core mechanic surrounding the game. At the very least it should be, because if there is anything it is not it’s the combat. 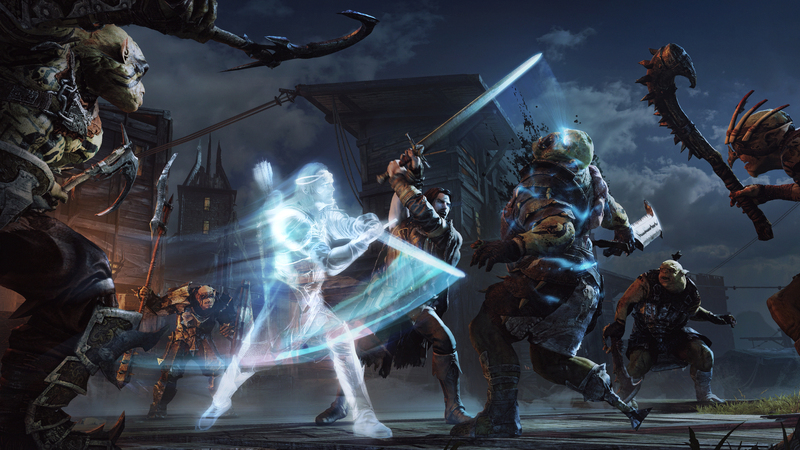 To put it nicely, combat in Shadow of Mordor is only ever as hard as you want it to be. Here they were clearly going for a rhythm based combat system like the one used in the Batman: Arkham Asylum series, but they fall short in every regard. There’s no rhythm involved in any of the moves, spamming a command is every bit as effective as hitting it when appropriate to the point that one blogger on youtube even went as far as turning off his monitor in the middle of a large fight killing over 30 enemies before dying. What little finesse there is in the combat is essentially boiled down to a series of quicktime events, which is good if you like quicktime events. The only bright spots in the games shameful combat system is that it does come off as incredibly cinematic and is undoubtedly fun to watch, it just gets really tedious to play. The boss fights can also be described as tedious, without giving away any spoilers just read the previous paragraph and remember that one involves the sword, one involves the dagger, one involves the bow and the other one involves the Elf ghost possessing you. If you can imagine less creative ways to use those elements than you may have a job waiting for you if the developers honestly thought these boss fights were going to be fun to play. Which is a shame because while Talion (and the accompanying elf ghost) are your stock brooding video game hero the other story characters are great and make the game a lot more fun to play. 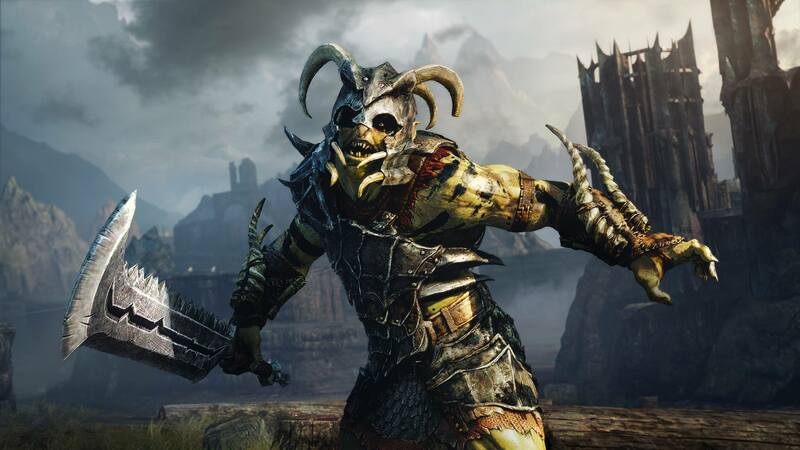 The big evil baddies controlling the orcs are themselves really cool and even exhibit more personality than Talion for what little time the player gets of them. 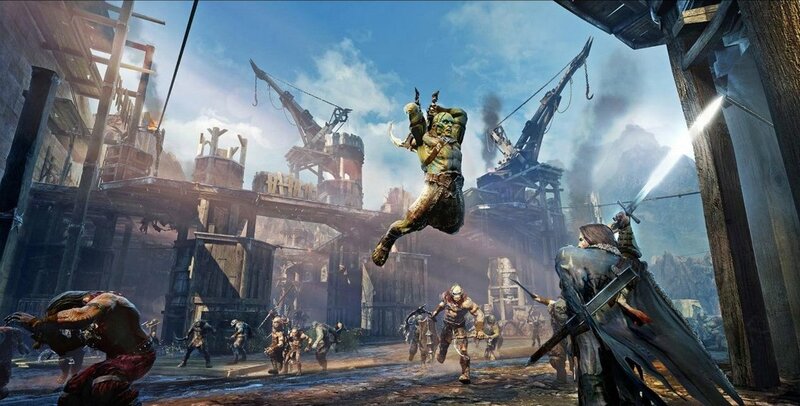 So though it may be that Shadow of Mordor has some very sore weak points, the positives do far outweigh them and create a thoroughly enjoyable gaming experience that fits very well in the lore and themes of Tolkein’s Middle Earth. 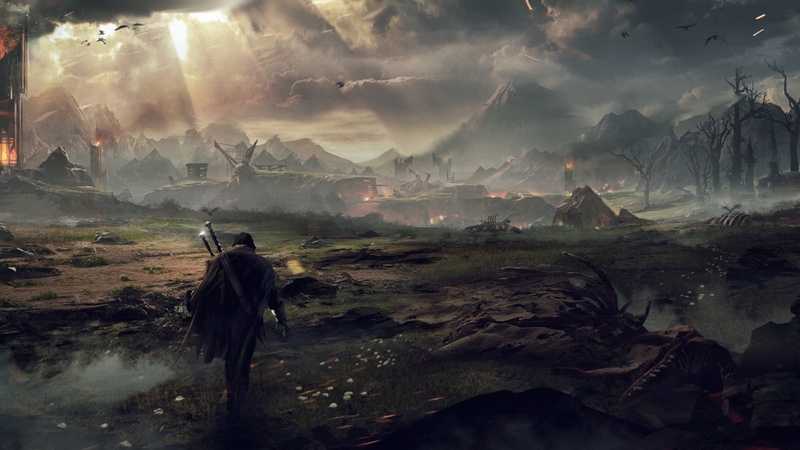 In a setting that is known for its delightful and colorful characters, sweeping set pieces and grand acts of heroism punctuated by incredibly tedious trips to get from one such place to the next, I think the argument could be made that Shadow of Mordor is a perfect game for the LOTR series. NEWS – Bethesda Announces ‘Skyrim: Special Edition’ Release Date, Details.